A two person minimum is required. The well known, television show Miami Vice captured the basics of Miami’s beauty during the opening credits as a helicopter flew over Miami's turquoise colored ocean. This opening credit was seen by millions and served as a useful tool to promote Miami worldwide. To this day, people still associate this scene as they prepare to embark on a helicopter tour of Miami. One of the first things people say is, “Let’s zoom past the water like Miami Vice.” With a helicopter tour you get to experience this particular scene for up to an entire hour at speeds in excess of 100-110 mph. 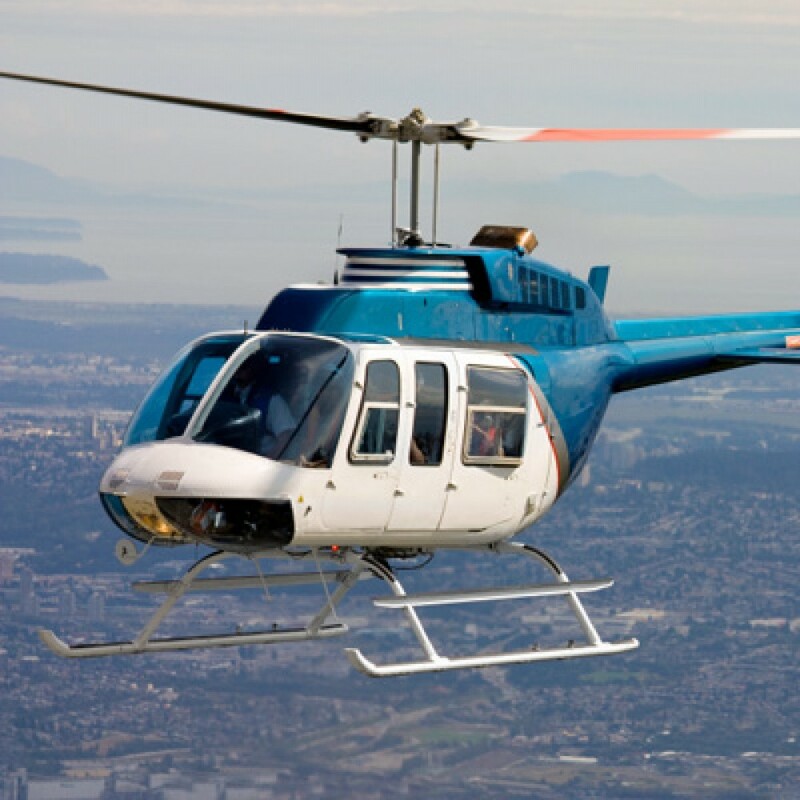 Our helicopter tour will allow you to see most of the most scenic sights Miami has to offer. You get to see the our majestic beach and tropical coastlines. You get to see high rise buildings, the Art Deco district, Star Island, and much more. You get to see oil rigs, speed boats, jet skis, and parasailers enjoying the water . You will also experience the beauty and awe of the Miami skyline.Additionally, you get a birds-eye view of the Port of Miami. You and your friends will see this and much more with absolutely no obstructions and for as far as the eye can see.Your Miami helicopter tour begins in North Miami Beach, Haulover Beach, Bal Harbour, Surfside, Miami Beach, South Beach, Fisher Island, Virginia Key, Downtown Miami, Port of Miami with the Cargo District and the Cruise Ship Terminal, Venetian Islands, Star Island, Indian Creek Island, North Miami and Dolphin Stadium. Actual Air Time: Approximately fifteen (15) minutes.